Engine in a box? A few decades ago, “who da’ thunk”. Wow, it wasn’t possible, but today, things are truly different. Last issue we took a look at cylinder blocks and reciprocating assemblies. They’re absolutely important, but equally critical is the complete valve train and of course, the cylinder heads that support it. Now, we mentioned this in detail in the first segment, but it’s really worth repeating again: You have to figure out the mission of the engine before you make the leap. The wrong valve train and/or cylinder head choices can truly mess up a power plant. Remember: First and foremost, decide what the engine is going to do. It’s the most important consideration you’ll make when laying out your hard earned dollars for a new motor. 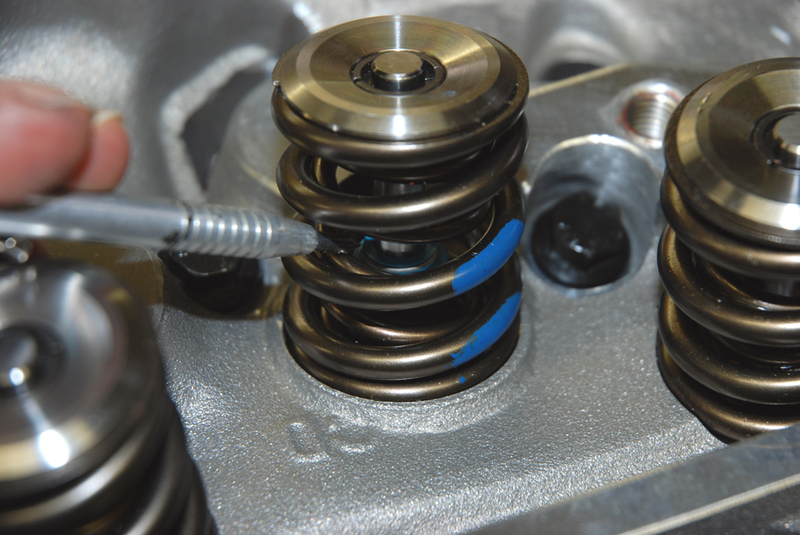 Camshafts & Valve Train: There’s no question that roller camshafts are the accepted norm in motorsports today, and many crate engines have these pieces as standard equipment. Mechanical rollers generally make the most power. They also mandate considerable ancillary equipment: Roller lifters, high-pressure valve springs, titanium retainers and so on. 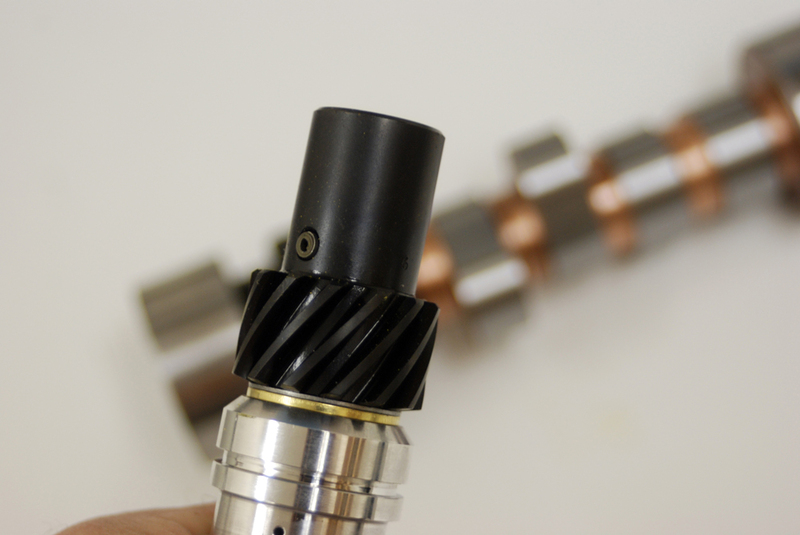 But in some cases, you might actually be dollars ahead with a good old-fashioned flat tappet cam and components. Why? Simple. 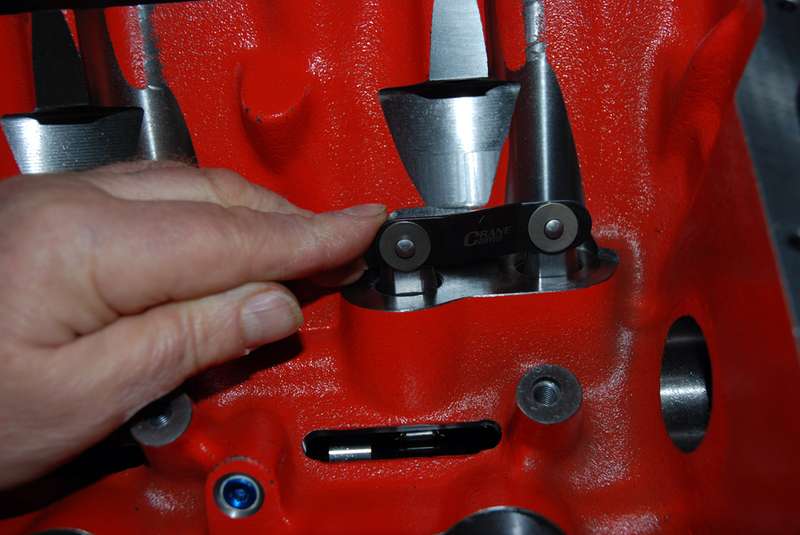 Take a look at a low RPM, flat top piston, grunt style engine as an example. It might never see the high side of 6,000 RPM, and then the use of a complete roller camshaft valve train is likely overkill. On a similar note, if the crate engine you’re thinking of buying is destined for your tow truck or motor home, and then something like a mild RV-style hydraulic cam might be the best choice. We don’t have room here for a complete run down on what to look for in a cam, but suffice to say the bottom line here is to match the valve train to the task at hand. One important thing we should discuss is distributor gear compatibility. When dealing with a roller cam you’ll soon discover is the fact a steel cam and a cast distributor gear don’t mix (at least, not for long). Most cam manufacturers suggest you swap the distributor gear for a bronze job, but over the long haul in something like a street driven car that’s only a stopgap fix. 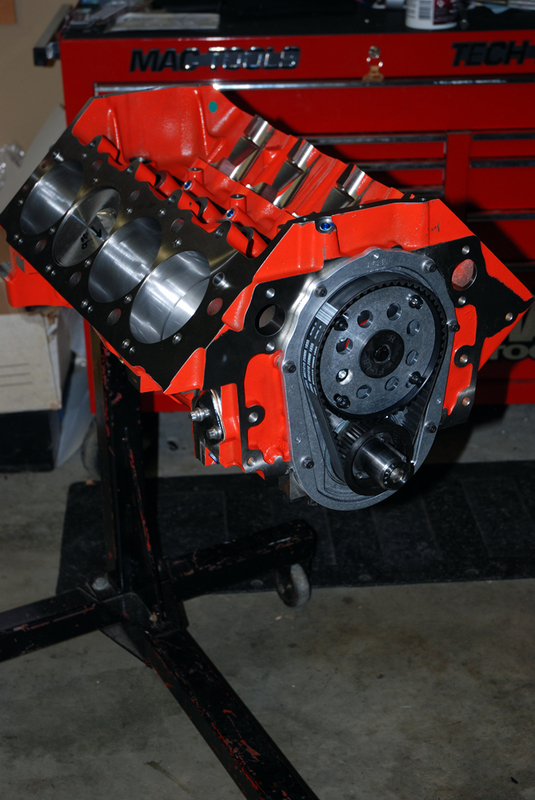 One solution is to incorporate a cast cam gear on the back of the camshaft. This way, you don’t have to concern yourself with oddball distributor gears or heavy wear patterns on the distributor gear. Keep this in mind when shopping for a crate motor. 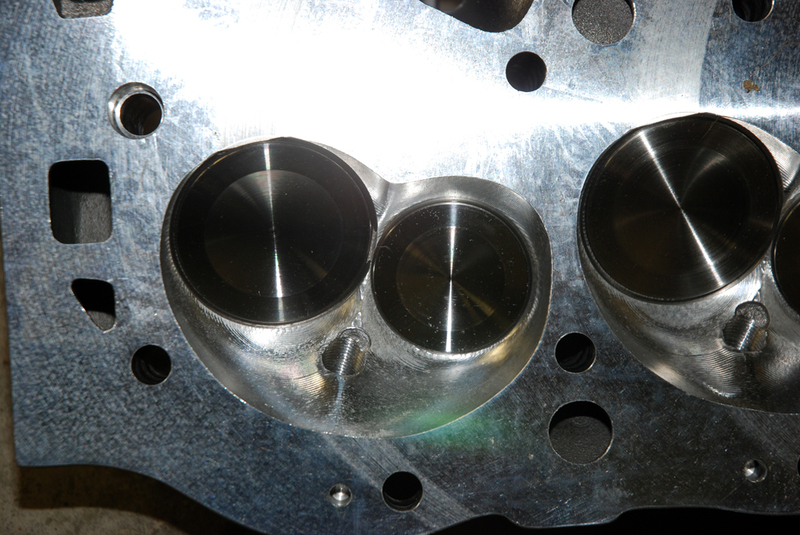 Cylinder Heads: Like many other parts of the engine, cylinder heads have become prolific. There are countless options out there, and in some cases, more than one perfect head exists for your engine. 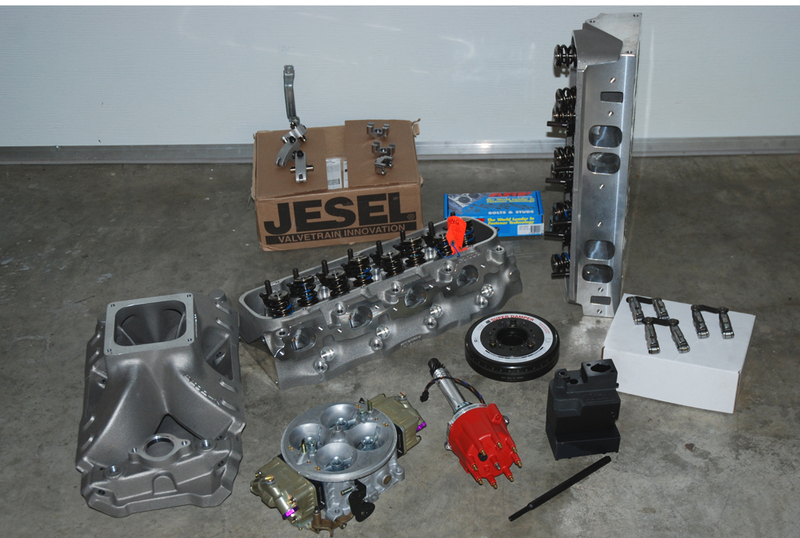 In today’s world, you can purchase cylinder heads that flow almost as well as anything used on a Pro Mod car. But is bigger better? Not necessarily. 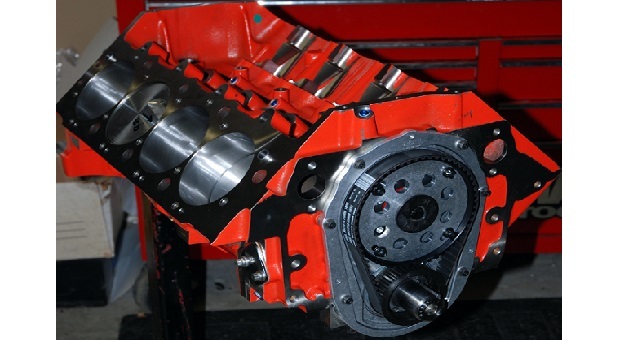 The cylinder heads required to feed a 9,500+ RPM, nitrous assisted big block are far different than those necessary to feed a replacement engine for your tow truck. Remember too that your crate engine can use iron heads or aluminum heads. Aside from the weight issues, both offer advantages and have disadvantages. Here are a few examples: Iron heads tend to make more power than their aluminum cousins (all things being equal). 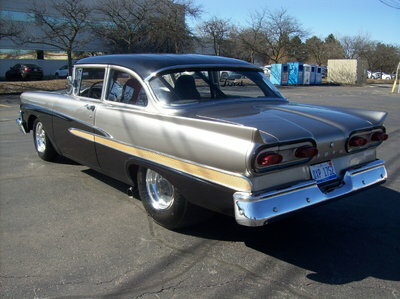 Aluminum heads are easier to repair if you have experience some engine carnage. 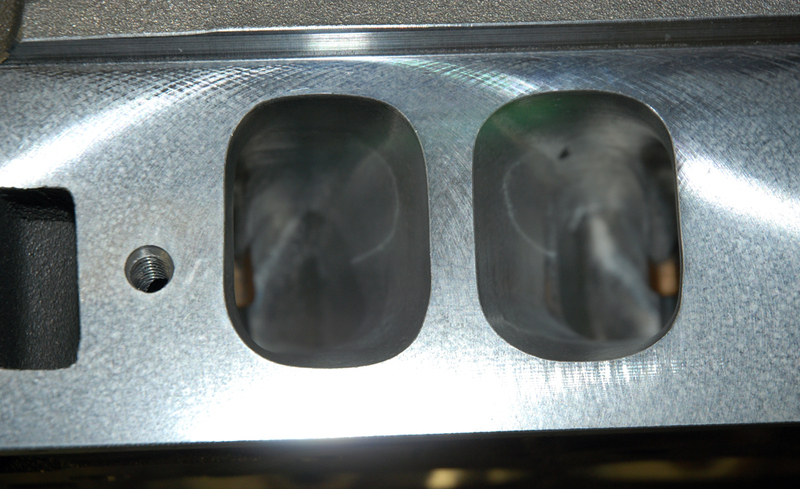 Iron heads are less costly than aluminum models. Aluminum heads are technically easier to port. 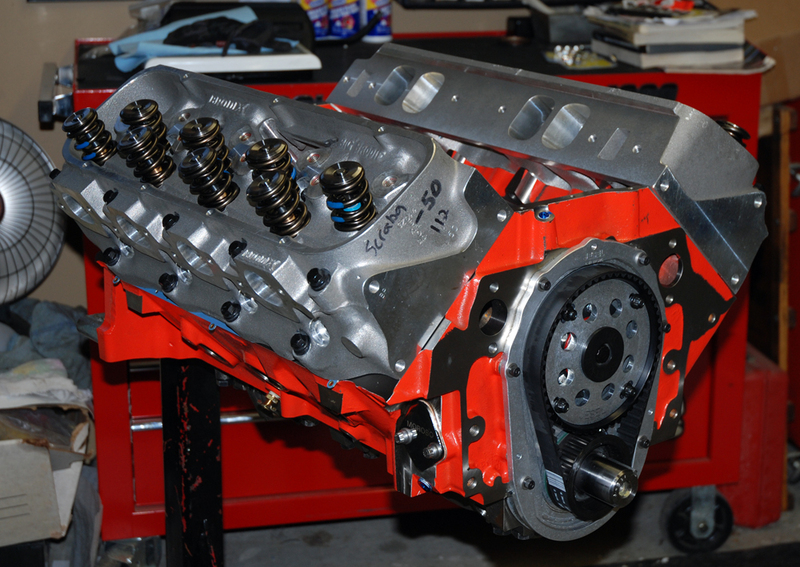 Aluminum heads tend to allow for more compression ratio with pump gasoline. And the list goes on. The real answer is that you match the heads to the intended application. Like other parts of the engine, you won’t be sorry. 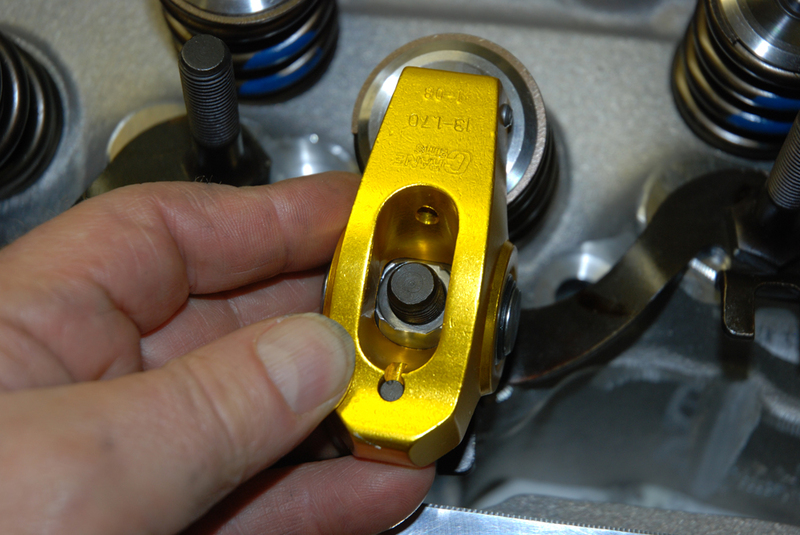 Camshaft and valve train hardware is equally important. You don’t need a 0.750-inch lift mechanical roller in a daily driver. But on the other hand, if you drag race your car, a short duration, 0.400-inch lift hydraulic flat tappet RV cam isn’t going to get you much RPM range either. That’s why cams and valve train components should be critically matched to the application. Remember that warning about matching cam gears with distributor gears? Here’s what we’re talking about: This distributor gear is designed to work with a cast iron camshaft gear. Manufacturers such as Crane Cams offer a steel billet roller that is fitted with a cast distributor gear. With this setup, there is no danger of burning up a gear on the street. Some crate motors are sold as “kits”. That means some or all of the pieces are disassembled and you get to put them together. If you have the necessary time, tools and experience, it’s a good way to go, since the price is lower and you actually have a hand in the construction of your own engine. See these Brodix heads? THey’re not from a run-of-the-mill crate motor, but what’s important here is the port volume as well as the combustion chamber volume. These heads have relatively small 332-cc intake port runners, but they move copious quanitites of air through that part (through a wide lift range). That translates into big power and torque in a wide RPM range. 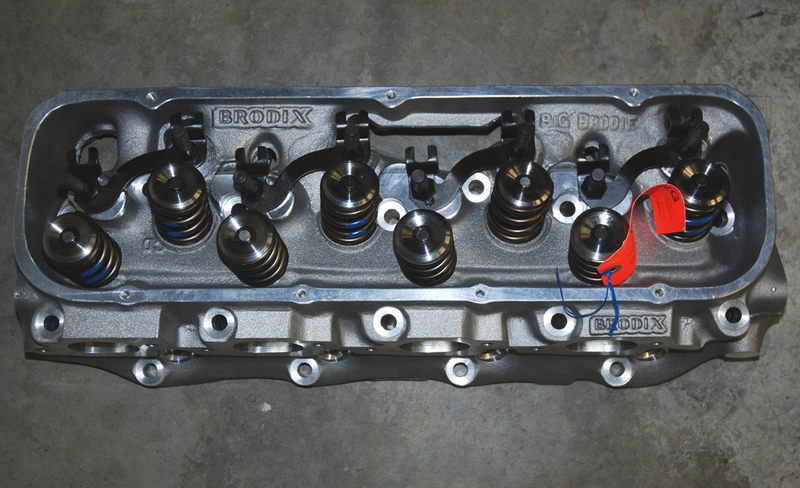 The combustion chamber volume, coupled with the head gasket thickness, deck clearance and dome or valve notch volume determines the overall compression ratio. Pick all of the above pieces carefully, since they can make or break the engine combination. Valve springs, locks, retainers, seals, rocker arms, guide plates, rocker studs and other hardware should be taken into consideration too. Given today’s specialized hardware, it’s not that difficult to get the proper mix of parts. On the other hand, it’s just as easy to come up with a huge hodge-podge of ill matched hardware. Keep all of the little stuff in mind.